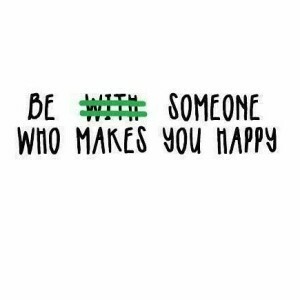 Real life truth right here: you’ll never BE happy with anyone until you’re happy with yourself. Able to spend time by yourself. Able to be alone. Able to look in the mirror, with all your flaws, stretch marks, scars (physical, emotional, mental, and spiritual ), and speak kindly to yourself. You’ll never be happy until you finally realize that happiness is not a life void of trials and tribulations but one that is full of faith, grace, and choice. It is only when you allow healing to occur and gratitude to reign that you will be truly happy and will attract like minded people into your life. That’s when you can be with someone who feeds your happiness and helps it grow. This entry was posted in Daily Thoughts and tagged believeBIG, createBIG, fireinhersoul, God is Great, graceinherheart, heartonfire, I am His, laughBIG, liveBIG, loveBIG, rideBIG. Bookmark the permalink. ← I’m NOT the only hell my Momma ever raised!